The Rainforest at Crafty Monkey! Thankfully, our studio did not undertake a transformation into a real rainforest…that would have been a disaster for our precious art equipment! But rather, our studio was full of the sunny faces of a group of local school children eager to show us their excellent ‘rainforest’ themed ideas! The children from years 2 and 3 had been learning about rainforests at school and their latest mission was to paint a creature from the rainforest using a range of art techniques. Their teachers were wise enough to know that the Crafty Monkey team would be the right people to nurture the children’s creative minds! And the pottery painting commenced! Clutching the designs that they had lovingly created at school, each child was given a plain, square tile. Their aim was to transfer their beautiful pictures of colourful rainforest creatures to pottery…and the end results were amazing! The children used sponging techniques to start their pieces, creating a lovely mottled effect to reflect the weird and wonderful background scene of the tropical rainforest. They considered the colours that make up a typical scene and took small pieces of sponge to dab away to create their gorgeous green and yellow scenery. They then listened carefully and learned about different brush techniques and how to work with the special pottery paint to bring their animals to life in glorious technicolor! The children really enjoyed their pottery painting experience and took new skills (and maybe a new hobby) away with them. In the mean time, they’ve been waiting patiently to see their finished articles while the Crafty Monkeys were bustling away to get them glazed and fired. They produced some fantastic pieces of pottery and we’re sure that when they see them, they will be amazed at how their masterpieces have turned out! We were! 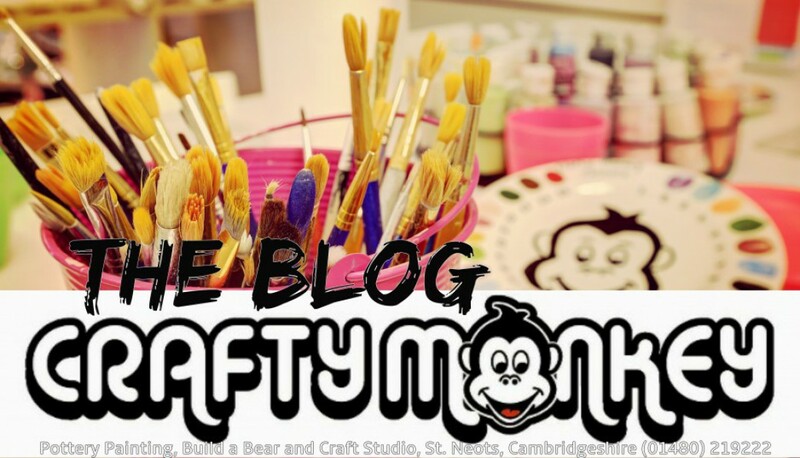 Crafty Monkey love working with schools on projects whether they come to us or we go to them. We also work with PTA’s as we have some great fundraising ideas so get in touch if you would like to find out more!